breathtaking. We suggest this hotel for families in search of an all-inclusive vacation in one of Sardinia’s best-loved venues. 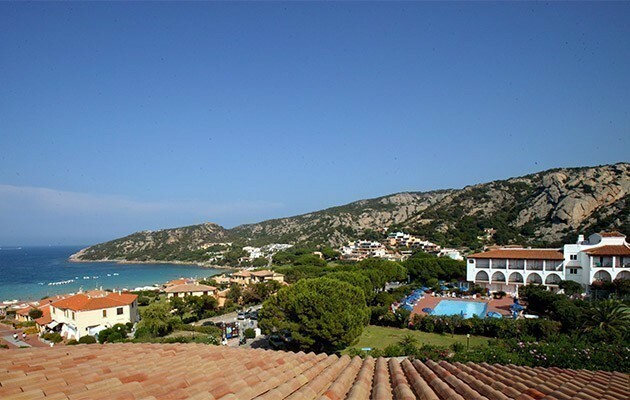 The Nicolaus Club Il Cormorano is situated in the centre of Baja Sardinia, a well-known tourist venue set in a peaceful inlet. The hotel is just a few paces from the sea and the small town square and this makes it simple to reach with ease the most beautiful beaches of the Costa Smeralda and the entrancing Archipelago of La Maddalena. A historic 4-star hotel in classic style, the Nicolaus Club Il Cormorano with its wide verandas looks out over a lush garden, amidst the scents of myrtle, juniper and oleanders. A true Mediterranean oasis, offering guests some stunning views over the Archipelago of La Maddalena. Guests will be able to enjoy several internal and external areas dedicated to relaxation: the bar and TV room, the wide veranda adjacent to the hall, the large pool with solarium and the external, poolside bar. Furnished in typical Sardinian style, the hotel’s 74 rooms are set out on the ground, first and second floor, with elevators. All rooms have bathroom, hairdryer, satellite TV, air conditioning, safety box, equipped balcony or patio - except the Comfort rooms on the ground floor, they have a window. Located 150 m far from the hotel, the beach of Baja Sardinia is a wide stretch of golden sand enclosed by rocks, lapped by a crystal-clear sea. On request (to be confirmed at the time of booking) and with payment of a supplement guests may utilize the beach service (1 umbrella and two sun loungers per room - € 140,00 per week). The first set of beach towels is free of charge, while changes are provided with payment of a supplement. The enthusiasm of the Nicolaus Team will fill the vacation of the kids with a rich programme of entertainment including daily team games and activities, courses and competitions, learning and recreational play activities. All activities are divided by age bracket: the Nicolino baby club (3/5,99 years), the Nicolino mini club (6/12 years). Special ingredients are available for guests with dietary requirements (please state needs when booking). Breakfast is served buffet-style; late-riser breakfast is also available at the bar from 9.45 am to 11 am. The All-Inclusive formula includes a welcome cocktail at the pool bar, full board with beverages served at meal times (bottled water, wine, beer and soft drinks on tap) and espresso coffee and cappuccino available at breakfast. At the Pool Bar: from 10 am to 10 pm unlimited consumption (on tap and in plastic cups) of water, orangeade, cola, fruit juices, granita, bulk ice cream, iced tea, coffee, draught beer, local wines and spirits drinks; Aperotime from 19 to 19.45. In your room, a coffee machine with capsules and a kettle for tea, minibar with initial supply of 2 small mineral waters, 2 soft drinks, 2 juices and everyday 2 small mineral waters; evening turndown service. Services charged as extras: wine and spirits list, room service for breakfast, lunch and dinner; all products not listed in the All-Inclusive formula. Parents have access to the Mum's corner area (during restaurant opening hours) and may utilise the appliances and equipment in the equipped area, as well as the basic products provided for children's meals (specific products for babies are not included). The cost of your stay includes Wi-Fi connection in the reception and bar area and free access to shared spaces and services: 200 m2 pool , playground for the kids, tennis court and table tennis. Your stay also includes a varied entertainment programme and entertainment evenings and piano bar with live music. With payment of a supplement, guests can book massages and treatments, pushbike and vehicle hire, boat excursions and trips to discover the beauty spots of the surrounding territory. Furnished in typical Sardinian style, the hotel’s rooms are set out on three floors. All rooms have services such as hairdryer, Satellite TV, air conditioning, phone, small safe. 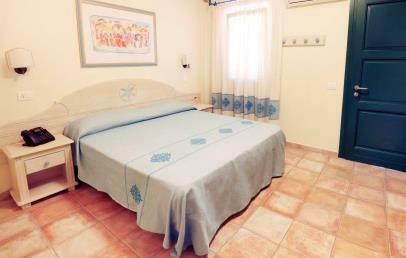 Welcoming rooms that have been recently renovated, the Comfort rooms are furnished in typical Sardinian style. The hotel’s rooms on the ground floor have a window, the others on the first and second floor have a balcony. 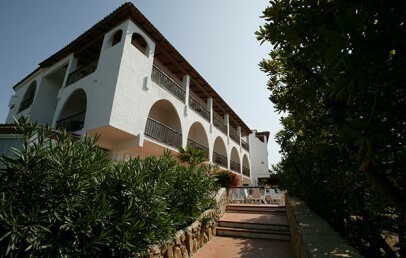 Welcoming rooms that have been recently renovated, located on the top floor and furnished in typical Sardinian style. Sea view. Early Booking - Book within April 30th 2019 and get a 10% reduction (stays from August 31st to September 20th)!